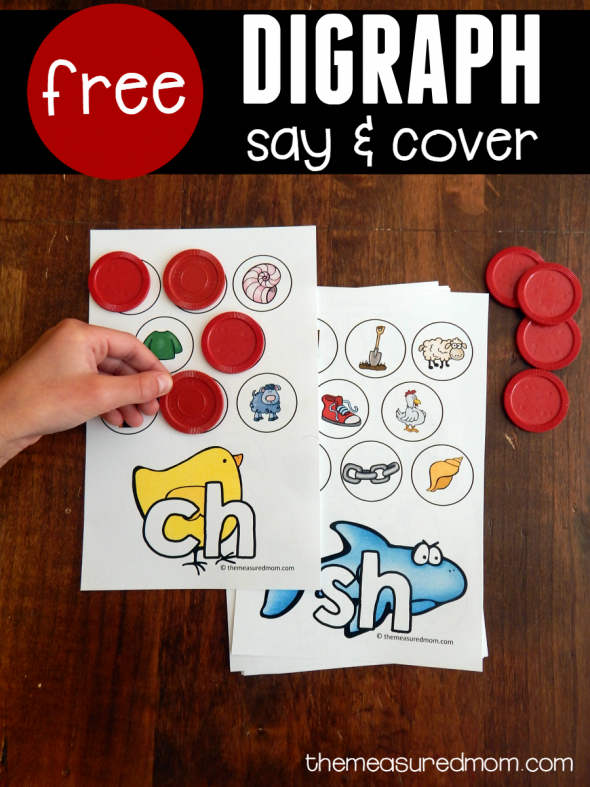 Looking for a simple activity to help your students learn the sounds of consonant digraphs? Try this one! 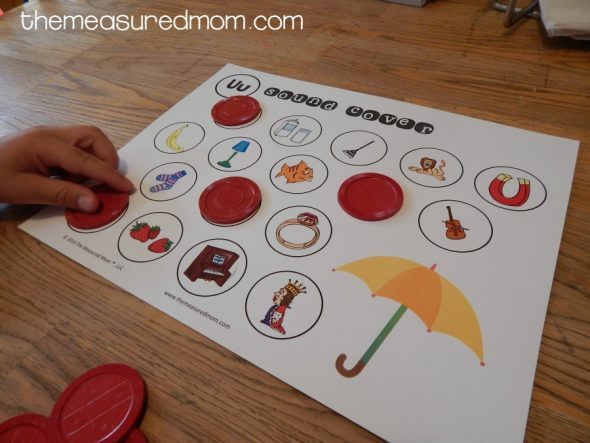 My Four knows his letter sounds very well, thanks to many months of hands-on alphabet activities. While he’s not quite ready to sound out words, there’s a lot of learning we can do in the meantime. 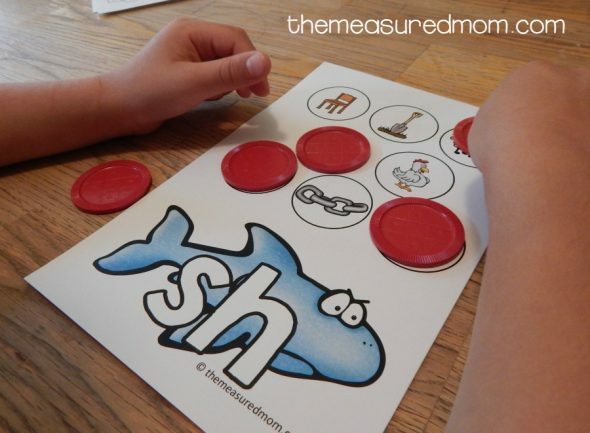 For this activity we focused on the common beginning digraphs: sh, ch, th, and wh. Before we tackled digraphs, I pulled out some familiar letter sound pages. I thought it would be good to start with something my Four knows well: beginning vowels and consonants. First he named the main picture, isolated the beginning sound, and found pictures whose names began the same. He covered the correct pictures with poker chips. He did a few more pages, including this one for letter w.
Next, he found pictures that began with /ch/ as in chick. He did a great job! 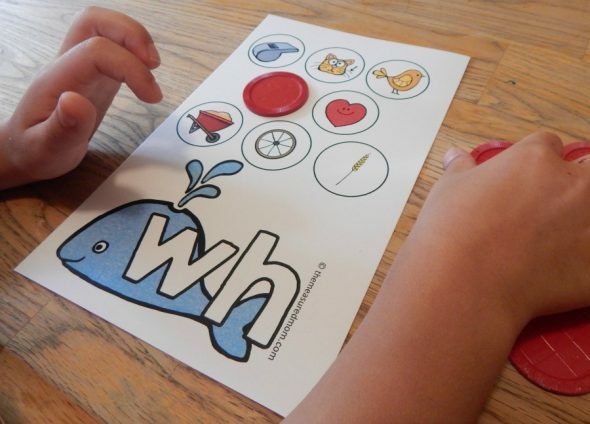 Next up was /wh/ as in whale. And /th/ as in thumb. Not pictured are the kn and ph mats. I included them in case you’d like them, but so few words begin with those sounds that I don’t think it’s necessary to practice them at this stage of the game – unless you want to. Cut down the center of each page. 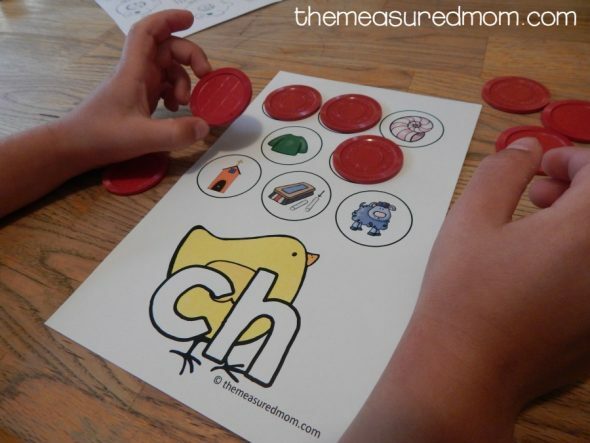 Provide poker chips or other manipulatives. Have your child name the featured picture at the bottom and cover the other pictures whose names begin the same. The exception is the ph mat, where you’ll find the sound in the middle of words, too. Wait! Before you go, download these too! Thank you for sharing these easy to use resources. They will be handy for my Kindergarten students to use independently. 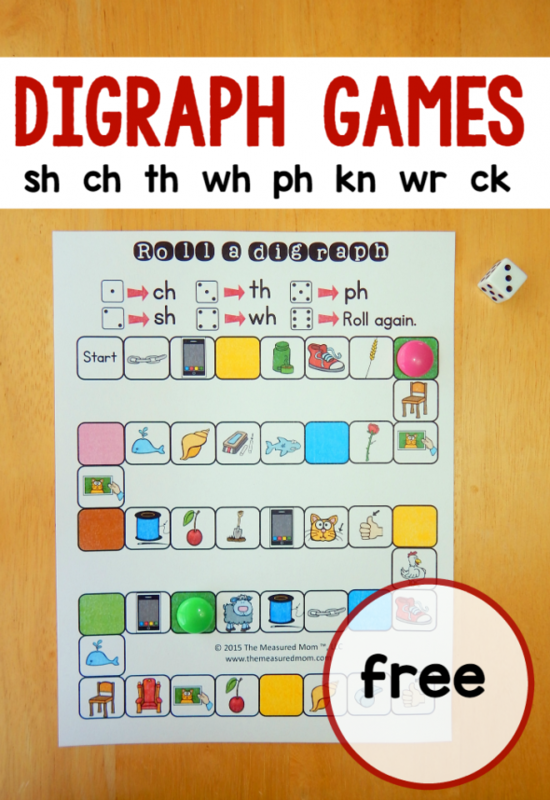 I am somewhat challenged…what is the procedure for the digraph games? 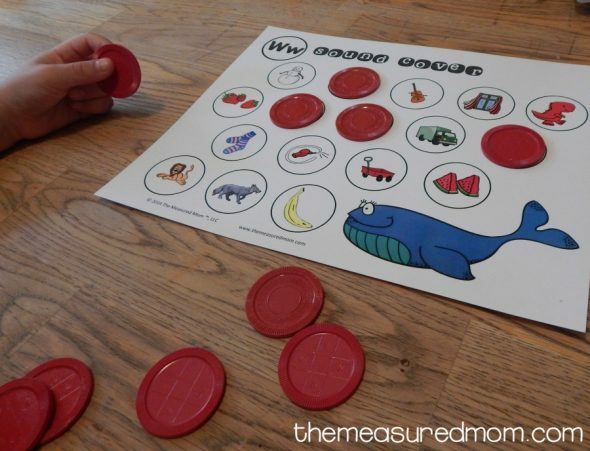 Just print the mats and give your child counters to cover the pictures that start with the digraph at the bottom of each mat. We like to use poker chips because they fit perfectly. Hi, I am unable to download this, I am also unable to click on the help button. These are perfect for my son, looking forward to playing with him. I don’t know how you have the time to make these learning games, but thanks! Many many thanks for these Anna. These are helpful and they’ve got me excited! Cant wait to start them with my son. I’m so glad you can use these, Rachel! What lovely, colourful and well thought out resources. I am working with an 8-9 year old who is struggling to read. These will really help make the sessions fun. Thank you so much for sharing. Thank you so much, Kate! I hope your learner enjoys these! Thank you these will be very useful. I’m glad you can use them, Rachel! Thank you so much for your generosity! I love your stuff!!!! Thank you so much!!!! These are awesome!!! I work at a therapy center that’s stingy with the materials they provide for Special Ed and these will work great for my kids!!! God bless. The work you prepare is marvellous. It will be so useful. Thankyou and God bless u.
You’re very welcome, Sumbal! Thank you for the kind words! Thank you for all you do!! 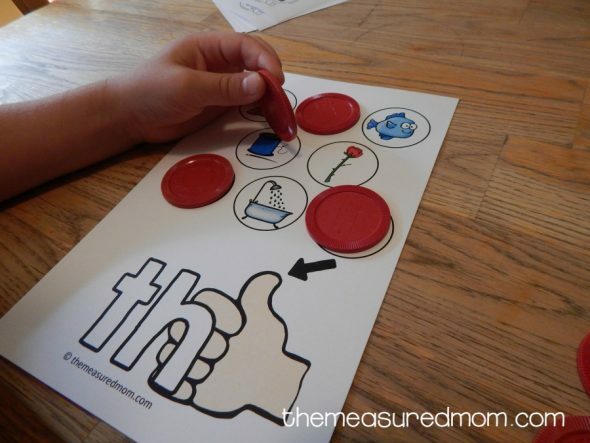 These activities fit perfectly into my classroom! You’re very welcome, Naeemah! Thank you so much for the kind words! Thanks Anna, its very helpful… I am loving it….. I just wanted to say many thanks for your great free resources! I have an income daycare ages 3-6! 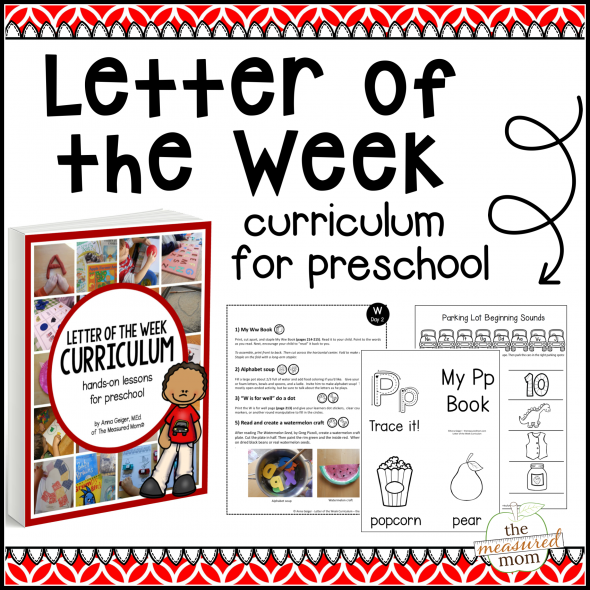 The K loves all the learning tools I get from your list! These are awesome and fun! You always have such great resources!!! !